God gave the House of Manna Faith Community as a vision for the people of God in Homewood, Pa. The vision began with Rev. and Mrs. Eugene "Freedom" Blackwell, Dina "Free" Blackwell. Freedom and Free met in 1998 and married in 1999; they worshiped and praised the Lord together as they attended Grace Memorial Presbyterian Church in the Hill district of Pittsburgh where they also led student ministry and after school tutoring. Shortly after their marriage they gained property in the Homewood community on Hermitage Street. Freedom's grandfather, Milas J. Tidline, previously owned the House. It was during this time that Free and Freedom found their mission for Homewood. 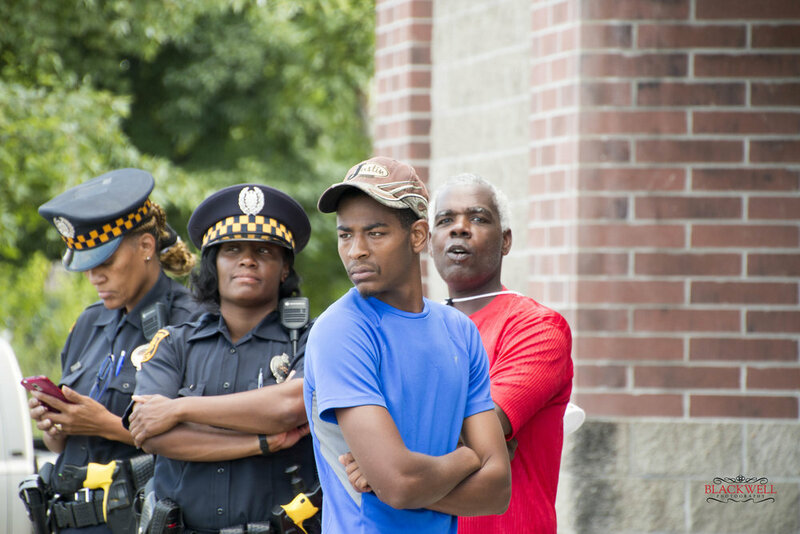 As they walked the streets of Homewood they heard the cries of oppression from the people. In 1999, Free began her journey at the University of Pittsburgh for a master's degree in social work. Freedom followed in his journey two years later beginning his ministry walk by attending the Pittsburgh Theological Seminary. When Freedom completed his courses they began ministry together at Bethesda Presbyterian Church as Student Pastor and later became the ordained minister of the Word and Sacrament (Teaching Elder). Free led community mission at Bethesda. In 2010, the couple started The House of Manna Faith Community, in partnership with the Pittsburgh Presbytery NCD and other church communities to spread the gospel of Jesus Christ to everyday people in Homewood. They were meeting the people in the community, sharing a message of hope as they marched through the streets. As the ministry grew, the couple continued serving the people with love as they kept God first, promoting transformation, love and community. An eight-member core team was established and they continued the work together. The team met in community homes, the local library, the YMCA, the YWCA, schools and even on street corners introducing the gospel to all who would listen. As the team grew, they held an annual Prayer 4 Peace March and the vision of Friday night worship was proclaimed. 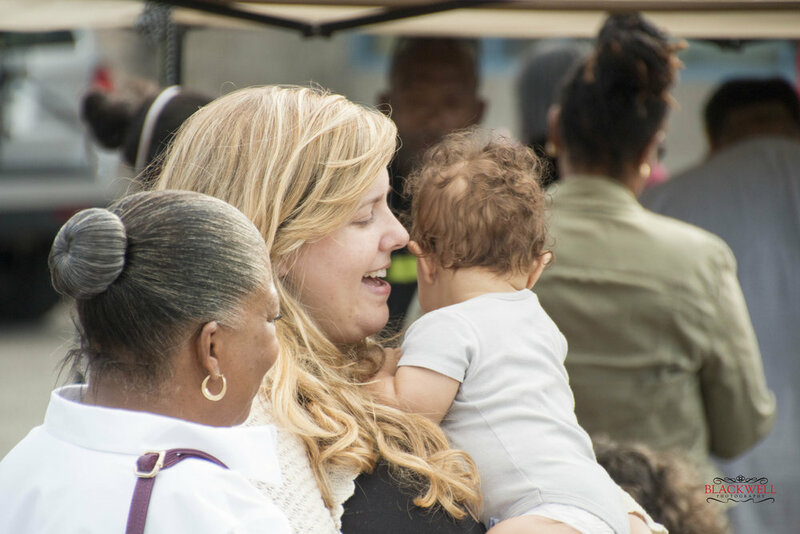 As well as ministering to the people of Homewood, the ministry reached out to suburban areas inviting their congregations to get involved in the acts of reconciliation, reconciling the people of God to God and each other across racial-ethnic lines. This began a new era of worship and praise through concerts, comedy shows, sport teams and camps, after-school programs, assistance with food, clothing and shelter, and more recently a community house in the neighborhood. In 2011, the House of Manna Faith Community birthed the Homewood Renaissance Association with the help and support of the congregations within the Pittsburgh Presbytery. The ministries reached 1000s' of people with the gospel. Today House of Manna Faith Community continues the reach people with the gospel and compassion of Jesus Christ. The Faith Community has increased its partnerships with area churches. North Way Christian Community has also come underneath House of Manna to provide support to assist the community in sharing the gospel of Jesus Christ with everyday people. With this partnership, our vision has expanded to the greater Pittsburgh Area. We have developed a discipleship model for leadership and seek to grow leaders from the inside out. Now is the time to equip the people as disciples, spreading God's love, grace, and mercies.